Having a video surveillance system installed in your place of business is an absolute must. If you are a business owner, it is likely that you want to be everywhere and see everything, which, as we know, is an almost impossible feat. Physically being in multiple locations is impossible, but keeping an eye on your business is made simple with security systems in place. From theft protection, to preventing vandalism, to improving customer experience and employee productivity, as well as protecting the health and safety of your staff, there are countless reasons why you should invest in a commercial video surveillance system. If you are considering having a high-quality security camera system installed, continue reading. 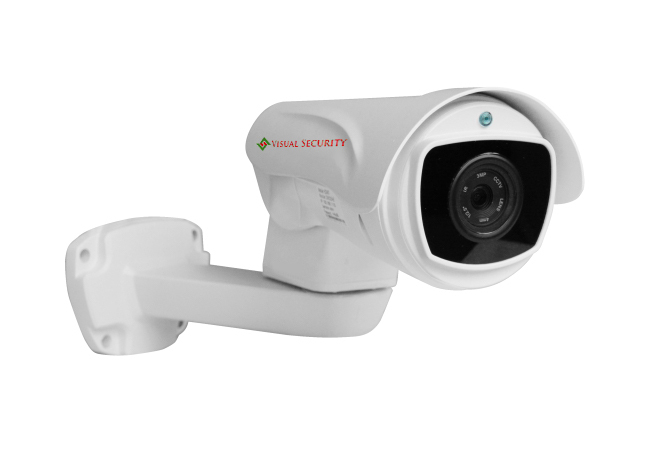 Learn about the surveillance systems we offer, how each works, how to choose the right cameras, and other miscellaneous information that will ensure you are fully confident with your purchase and decision to partner with Visual Security LLC. 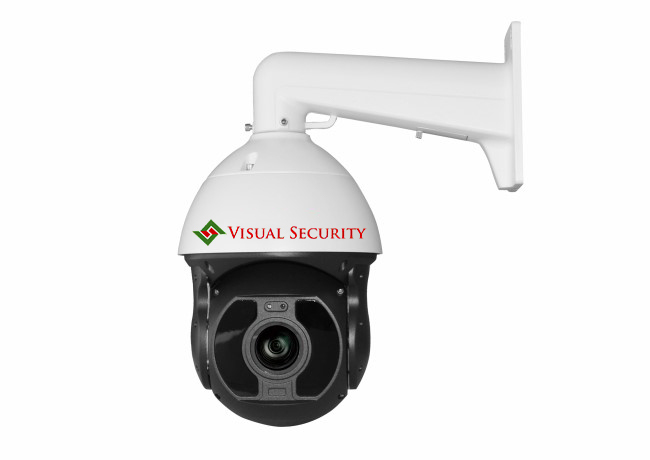 At Visual Security LLC, we are a full-service provider of the finest security cameras and installation services in Colorado. Not only will we install your security system and ensure it is working properly, we will also come out to your site before and after installation to make sure we provide you with the system that best fits your needs. We also make sure that everything continues to work after your system is up and running. If you do a quick assessment of your property using the tips below and decide you still aren’t sure what kind of surveillance system you need, give our team a call! All of our security cameras are customizable, meaning you don’t have to purchase a “one size fits all” surveillance system that may not be best for your business. Our Flagship cameras available in bullet or dome. Support ONVIF Profile S, FTP, RTSP, UPnP etc. Our Flagship Dome camera. The same as our 4MP Bullet except in a dome configuration. 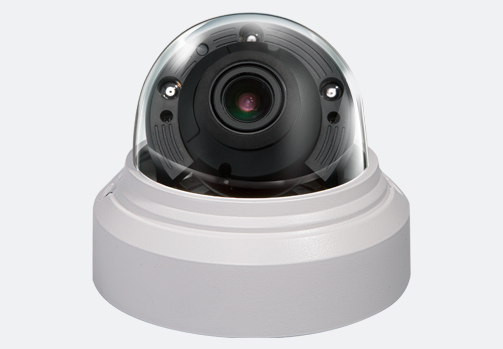 Dome cameras are needed in certain applications primarily when the camera can be reached by the public or for less obtrusive visual impact. This camera also has a built-in microphone for recording audio. Hard Metal Impact resistant case, IP66 Weather Proof for Indoor or Outdoor use. This full-size Commercial Dome with “Double HD” will impress with durability as well as a stunning vibrant color picture. Get a free DEMO of these cameras to appreciate their quality. Our best High-Speed Dome 36X zoom constructed for the harshest of environments. If you are looking for the best PTZ Camera, you have found it here! We are proud to say we have installed this camera on top of Mount Baldy in Breckenridge. Call for detailed specifications and options. Our 12MP super high definition bullet camera for use in 4K systems. Standard 4K is 8MP this is the highest resolution available at a standard commercial price. Used for large cover areas where digital zoom is used for documentation. Available with different fixed lens or motorized zoom. Call for detailed specifications and options. 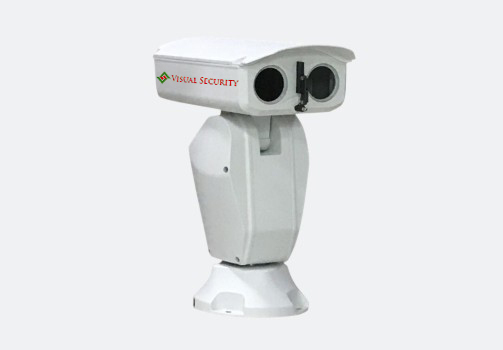 How about a PTZ camera for the price if a fixed camera. Pan tilt and zoom with yoursmartphone. 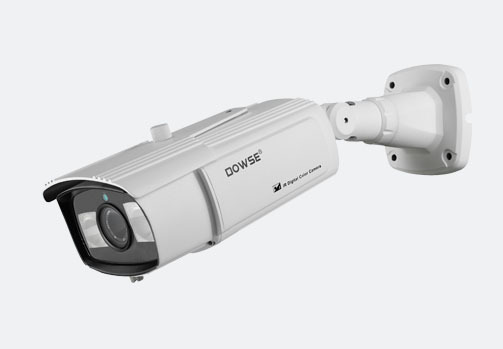 Our bullet PTZ cameras come in various resolutions as well as 10X optical zoom.Call for the amazingly affordable price of this versatile camera. Call for detailed specificationsand options. 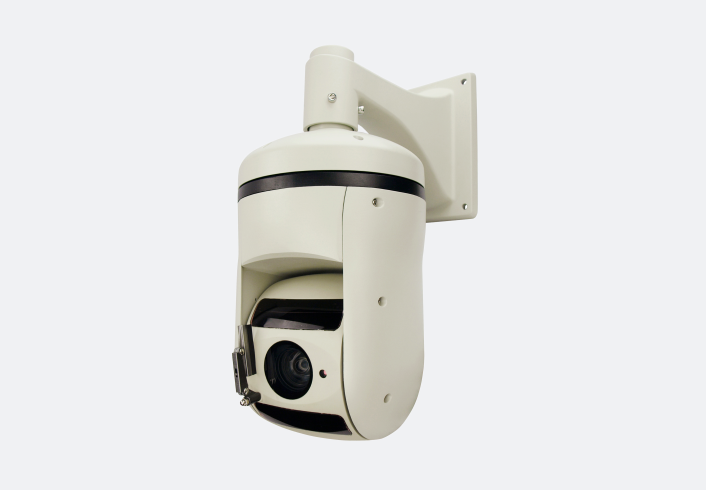 Visual Security’s large PTZ cameras come with up to 36X Zoom and resolutions from 1080P to4K. Available with night time color as well as Auto Tracking that will zoom and follow motion.Installed with solar power and microwave the camera can be installed anywhere. Call for ademonstration of these amazing cameras. Call for detailed specifications and options. Our best High Speed Dome 36X zoom constructed for the harshest of environments. If you are looking for the best PTZ Camera, you have found it here! We specialize in and focus specifically on commercial security systems. Check out our areas of service to learn more about the locations and types of locals businesses we serve. In the past, we have installed many surveillance systems at construction sites, children’s day care centers, ranches, greenhouses, and more. Without surveillance systems, construction sites are easy targets for theft. Tools, hardware, and other gear are all expensive to replace and will also result in loss of work and time while you wait to purchase new equipment. Many construction sites have alarm systems installed, but by the time police arrive on scene, there is not much they can do retrieve the stolen items or catch the thief. With security cameras in place, police have access to video that can reveal details about the culprit including bodily features, license plate numbers, and other important evidence. We can install your commercial security system both in and outdoors, ensuring you have eyes everywhere you need. When a family decides to trust your daycare center above others, you know that you need to do everything in your power to protect and care for their child. With a video surveillance system installed in your center, you will be able to keep an eye on everything from the children playing together in the classroom, to the unfamiliar visitor entering the campus. A video surveillance system allows you to monitor the entire day care center from a single monitor or mobile device. Many parents will be extremely pleased knowing all of the children are being closely observed at all times. If you are away from your ranch or greenhouse, an outdoor surveillance system is the perfect solution to give you the peace of mind knowing your property is safe. Whether you need to keep an eye on your blooming garden or watch over livestock mothers, we offer multiple camera solutions that can cover as much or as little space as you need. The distance from your home to your ranch is not an issue and will not affect the functionality of your system. We also have wireless cameras in case electricity or electric outlets are not easily accessible at your site. All of our security systems are totally customizable, meaning that together we can create a system that is perfect for your specific needs. Don’t get stuck with a “cookie cutter” system ever again. As previously mentioned, there are countless reasons why a business or commercial venue needs a surveillance system in place. Even if your business has an alarm system installed, video cameras are still an essential addition. If you find yourself needing to decide between a visual security system and an armed alarm system, choose a security camera system. We’re not just saying this because we are the premier provider of the highest quality commercial security systems in Colorado! Alarm systems that ring out and signal the police after a break-in will do nothing to help the police find a criminal after they flee the scene. Additionally, there is always a delay between when the alarm goes off and when the authorities actually arrive. During this delay, a thief may still have time to steal merchandise, equipment, tools, produce, etc., setting you back financially and stopping further business. Even if insurance covers the cost of repairs and replacement, a criminal will still be on the streets because they will never be caught after breaking into your business. Don’t let this be the case! 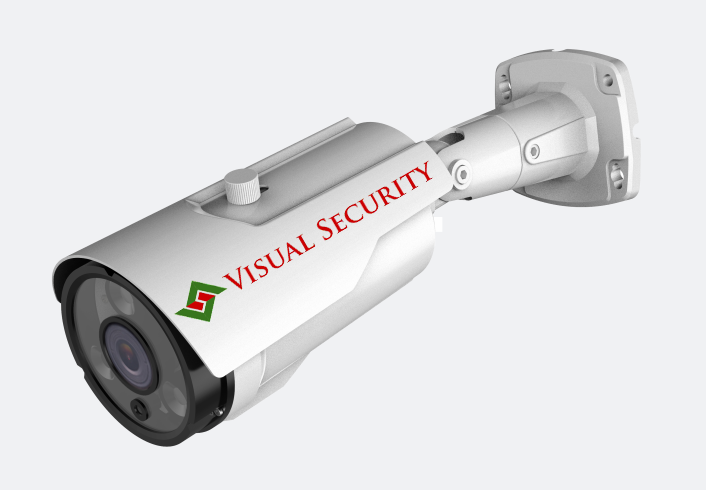 At Visual Security, we do it all. We would never leave the full responsibility of choosing a surveillance security system on your shoulders, especially if you are unfamiliar with all of the tech features. When you decide to partner with us for your commercial security needs, we offer fast and free site surveys. During these inspections, we offer recommendations as to which systems we feel will be the best for your site. If you are interested in first evaluating your business space on your own, there are a few things you should consider during your survey. Do you know of any possible culprits who would want to break-in or steal from you? Is your business going to be growing soon? In terms of physical space, how big is your business? Are there specific features that would be extremely beneficial for your business? Will your business be moving anytime soon? When it comes to choosing the best security camera company, the most important things to look for are an excellent reputation, lots of experience, and constant, ongoing support. If you decide to enlist our professional services for your security needs, you can check all three of those qualifications off your list! We guarantee our high quality products and services, but don’t just take it from us—take a peek at these wonderful reviews from our happy customers. Excellent reputation, check! In terms of experience, you, again, are at the right place. Our hand-picked team of experienced professionals has more than 30 years of experience selling and installing commercial surveillance systems. Lots of experience, check! And lastly, the Visual Security crew is ready to assist you, at all times, with any technical support. We can answer questions, troubleshoot, resolve problems, and help you in whatever way you need! Your happiness and the security of your business are our priorities. We will not stop working until you are completely satisfied with the products and services you receive. We very much appreciate your business and look forward to working with you soon!